Listen up, Fans of Nebbiolo. I’m starting a new quarterly feature here on Opening a Bottle called the Nebbiolo Fan Club. It is nothing fancy, and there is no purchase necessary. In fact, it’s just a title for a quarterly series of articles. Think of it as an editorial license to talk about Italy’s greatest red grape (and the wines made from it) more often. I am a man of enthusiasms, and still to this day, no other grape generates more than Nebbiolo. It seduces, it beguiles, it thrills, and it is rarely the same wine from bottle to bottle. With these posts we’ll examine the subtle ways that Nebbiolo expresses its terroir, and we will shine a light on the producers worth knowing. And there are many of them. 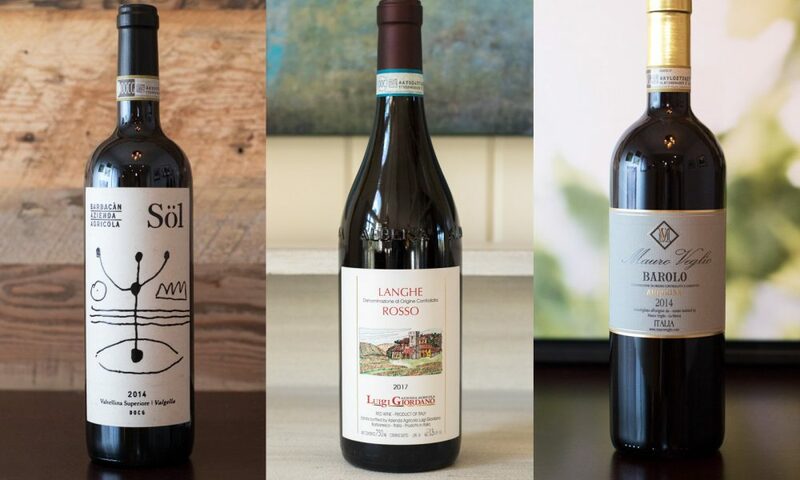 The inaugural spring edition focuses on three very different wines: a Valtellina from the Valgella zone, a Langhe Rosso that’s mostly Nebbiolo with a dash of something truly surprising (allegedly … oooo, a mystery! ), as well as a single-vineyard Barolo from the tiny Arborina cru in Annunziata. Valtellina Superiore is an alpine valley northeast of Milan. As a wine appellation, it deserves equal respect to Barolo and Barbaresco. 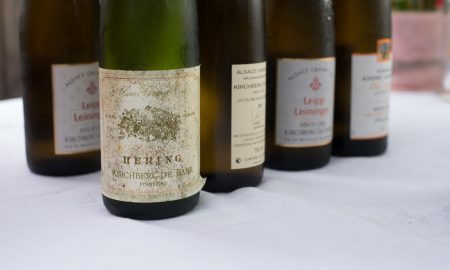 For one, the quality is incredibly high, but furthermore, the winemakers have no choice but to do things the hard way. 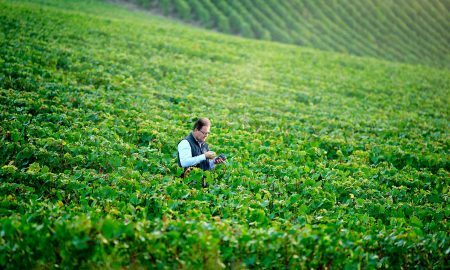 The valley’s impossibly steep slopes require terracing, and every viticultural detail has to be carried out by hand. Winemaking in Barolo and Barbaresco looks like a holiday by comparison. Despite these obstacles — or maybe because of them — I have found that the wines from Valtellina are among Italy’s very best. I’ve profiled a few Valtellina producers on Opening a Bottle before: Nino Negri, Sandro Fay, and arguably Italy’s top winery, ARPEPE. 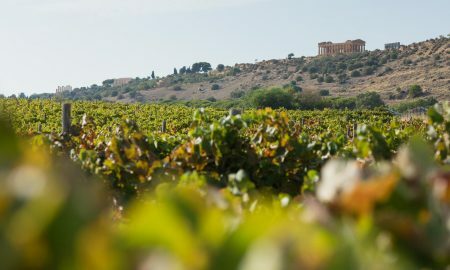 But Barbacàn represents a level of intimacy with terroir. 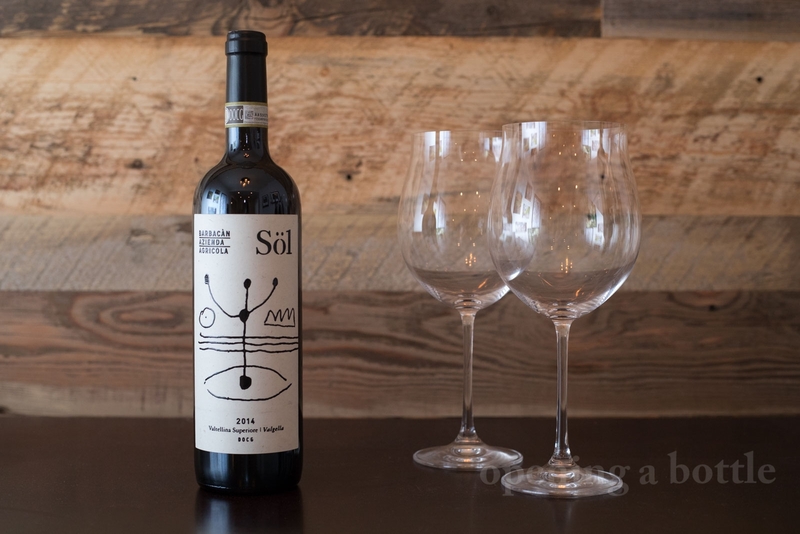 Unlike the three producers mentioned above — who offer a range of wines from a variety of Valtellina’s five subzones — Barbacàn is exclusive to Valgella, Valtellina’s eastern-most subzone. This wine, called Söl, is as reminiscent of the Côte de Nuit as Barolo. Valgella’s alpine climate and granitic soils seem to replace Nebbiolo’s power and coarseness in youth with grace and subtlety. The tannins, in particular, are a noteworthy shift from your prototypical Nebbiolo. They are aggressive, yes, but quite fine, too, and galvanizing you for another sip. Aromas recall red and blue flowers, black raspberry, black cherry, cinnamon stick and a heavenly aroma of a just-passed rainstorm, which for me, has become a signature of Valtellina. Buy this wine. It won’t disappoint. 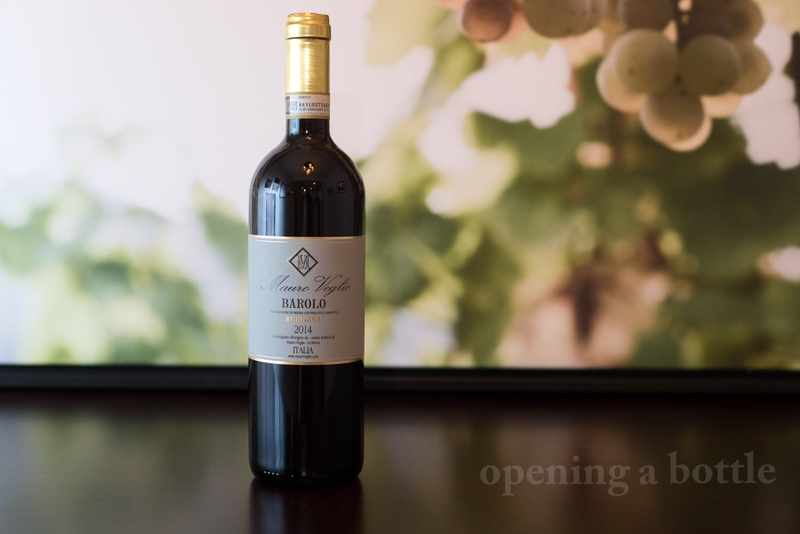 Serving suggestion: Because of its elegance, this Nebbiolo can pair with lighter fare than most. I think it would be incredible with a simple roasted whole chicken with herbs. The wines of Piedmont are many things. But “fun?” That’s not a descriptor I often hear used. Apparently, it is a blend of Nebbiolo and Arneis, although I cannot confirm this yet. (A sales rep told the guy at Wine & Company this little factoid, but the grapes used in the blend are conspicuously absent from the tech sheets and Luigi Giordano’s own website). I wouldn’t be surprised however. The core is certainly young Nebbiolo vines, with vivid berries, sharp licorice and intoxicating violets shining through. But the gravity of the wine is lightened, and this could be where Arneis, the famed white grape of Roero, comes into the fray. Think of it as a Nebbiolo with a strawberry complex. It’s juicy and fresh, but has a stout enough structure to win a staring contest with a lamb burger. Serving suggestion: In summer, on a backyard patio, as a hose-sprinkler tickles the grass … this wine plus a massive lamb burger on a paper plate on your lap. Of the 181 single-vineyard cru in Barolo (also known as Menzione Geografica Aggiuntiva or MGAs), Arborina is not one of the best known. This is probably a function of size more than anything. 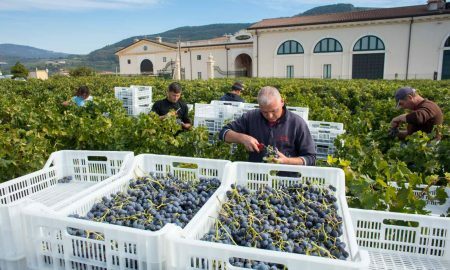 Whereas many hands work the vine rows of the famed Brunate, Cannubi and Bussia cru, Arborina is confined to just a few estates, with Elio Altare being the most recognized (After all, Arborina is the winery’s backyard). Located on the lower slopes of the great La Morra hill, just north of Annunziata, Arborina has carved out a reputation for freshness and delicacy among Barolo watchers. The name means “shoot” in Piemontese dialect, which alone seems to suggest youth and vibrancy. Mauro Veglio’s 2014 wine from Arborina has so far been the most approachable Barolo from the vintage. The signature floral aromas of the La Morra zone override everything, carrying through to a palate that is already showing savory, earthy and bitter-chocolate traits. 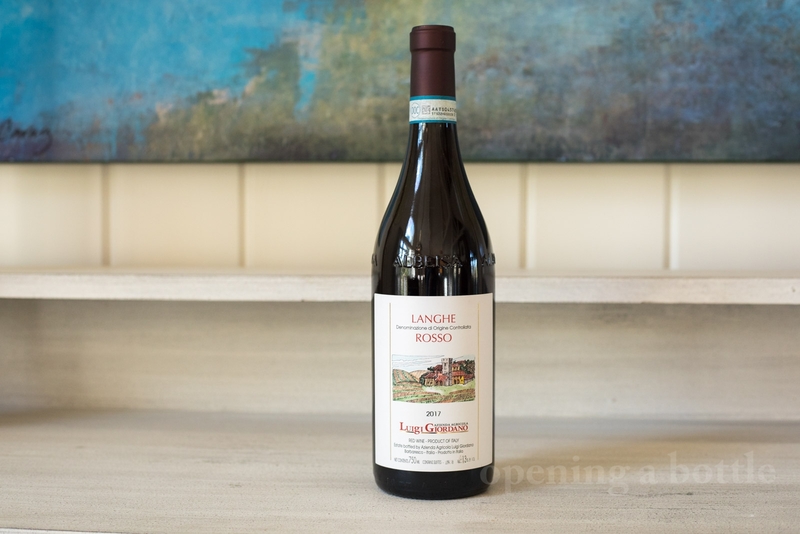 Young Barolo is often awash in harsh tannins and gruff acidity, but Veglio’s approach — shorter macerations and aging in barrique barrels — seems to move the rewards of Barolo to the present day a lot sooner. Serving suggestion: Decant for a few hours before consuming with a chanterelle risotto. 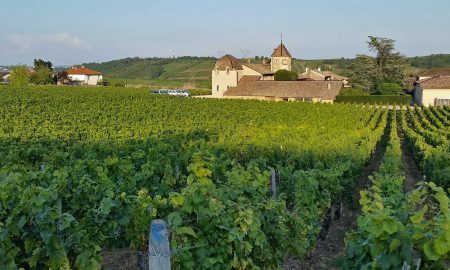 Looking for More Nebbiolo Fan Club Content? It’s coming, along with more First-Taste Guides, Vineyard Stories, winemaker profiles, photo essays and more. Subscribe to my monthly email digest to get all the juicy content. 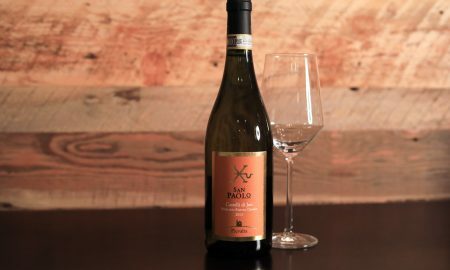 Note: The wine from Mauro Veglio was provided by WellCom, their Italian press agency. Learn more about my editorial sample policy. All other wines were purchased.